A Remote Multi-Mission Antenna System (RMMAS) will soon be established at the Francisco Bangoy International Airport (FBIA) in the Philippines to communicate with the Earth Observation (EO) satellites deployed in space. 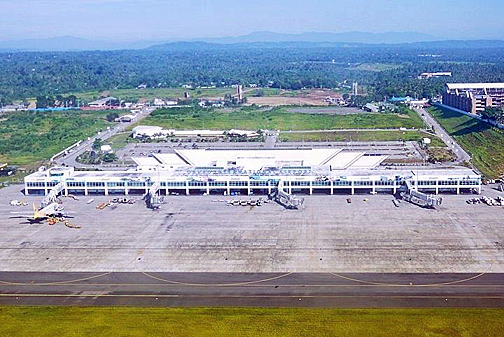 The Department of Science and Technology (DOST) Davao Region said a memorandum of agreement between DOST Advanced Science and Technology Institute (DOST-ASTI) and the Civil Aviation Authority of the Philippines (CAAP) has been signed in connection with the establishment of the RMMAS facility in the airport. The facility will include a 7.3 meter tracking antenna with radome and a 40 foot container van that will serve as the control room. The RMMAS facility was designed to communicate with the EO satellites deployed in space through “receiving, processing, exploiting, and distributing space-borne imagery and derive information from the supported remote sensing satellites for various applications such as disaster mitigation, natural resource management, environmental monitoring, pollution control, energy exploration, intelligence, and emergency response management.” This project is part of the Japan Aerospace Exploration Agency (JAXA’s) multi-agency research and development effort. Under this agreement, the DOST is collaborating with the University of the Philippines Diliman and two other Japanese academic institution,s namely the Tohoku University and Hokkaido University for the Philippine Scientific Earth Observation Micro-satellite (PHL-Microsat) program.